Hy-Lok by Aura regulators, high quality products at competitive pricing, available with Hy-Lok gauges, excellent availability and service. Besides the products shown here, the full range of Concoa and Aura is available under the Hy-Lok brand. 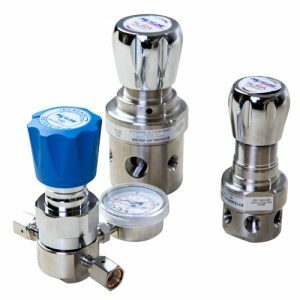 Concoa / Aura, has a long history of providing solutions to challenging gas control applications for the analytical, research and scientific markets. Concoa invests substantially more in research and development than the industry average in order to develop a continuous stream of new products. Recent examples of innovative designs achieved, include; Lab safety equipment, 547 series switchover, 577 series Cryowiz, 203 series regulator.